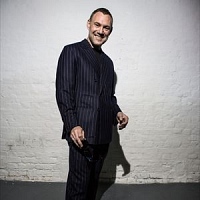 Mancunian singer-songwriter and all-round chart favourite David Gray will play several dates in September alongside the release of his latest album. 'Draw The Line' will be available from September 14th as Gray's 8th studio album, although he didn't receive global exposure until his 3rd release 'White Ladder', which broke him into the musical mainstream. The 'Babylon' singer will play at London's Roundhouse on September 14th to celebrate his new record, Manchester's Ritz on September 15th, and Glasgow's ABC on September 16th as he continues his 17-year career. The first release from the film soundtrack favourite's album 'Draw The Line' is confirmed to be 'Fugitive'. In the meantime, Gray will be playing several international shows, including the Galway Arts Festival and the Mountain Music Festival in Redmond, USA. Tickets for the 3 September shows will be on sale from 17th July at 9am at £25 - £32.50 (+ booking) each.